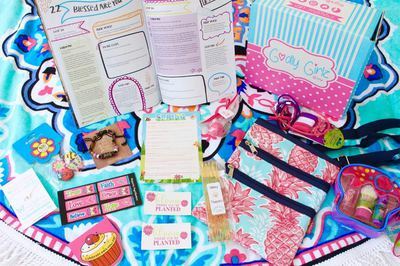 Enter your email address below to receive a notification when Godly Girlz Box starts accepting new sign-ups! 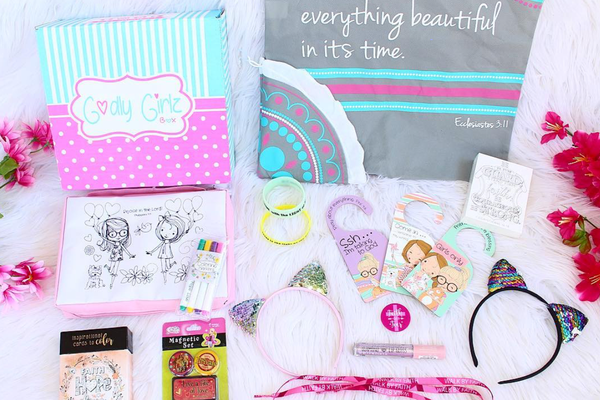 Enter your email address below to receive a notification when Godly Girlz Box is accepting new sign-ups again. Use code SAVE5 at checkout to receive $5 off your first box. Sign up now to receive the April box shipping the second week in April. 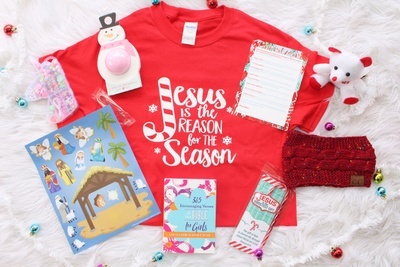 Fun, faith-filled box of Christian encouragement! 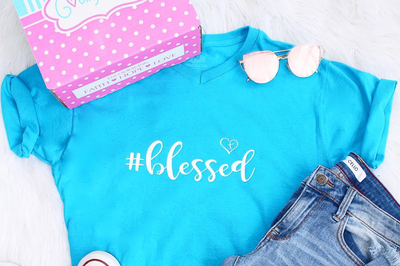 When you join Godly Girlz Box you will receive bi-monthly (ships every two months) deliveries of items ranging from Christian t-shirts & other Christian items, jewelry, fashion accessories, delicious treats, and other exciting surprises. Recommended for ages 8-13. Every box that you purchase provides five meals to hungry kids via our Food for the Poor partnership! 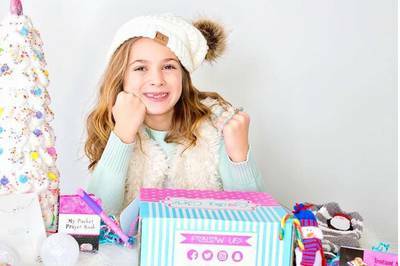 I purchased a 6 month gift subscription for my 10 year old Godchild. It was such a hit! Very well thought out items in each box. My godchild anticipated the arrival of each one. Spreading a little bit of kindness, faith, and optimism into a child's life is just what this world needs more of these days. I was a very pleased customer! 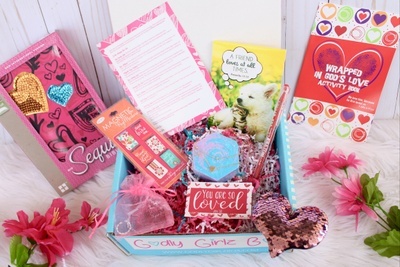 My daughter (10) LOVES getting her Godly Girlz box! Every item is so meaningful, and they spark great conversations with her. We all look forward to the arrival of this box! 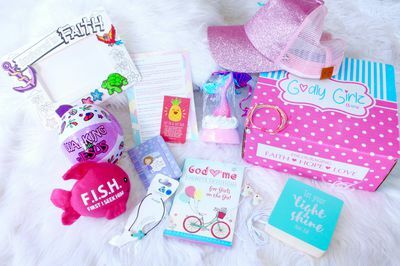 I ordered this subscription box as a Christmas present that keeps on giving. 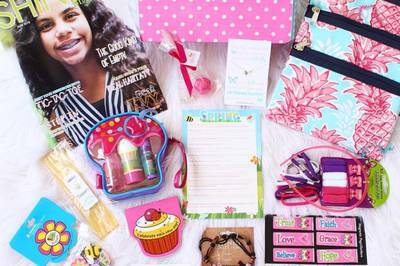 Not only will she grow in her faith but she gets a Christmas present every other month. She was over joyed with her first box and I was impressed with what we recieved. When the second box came she was ecstatic! 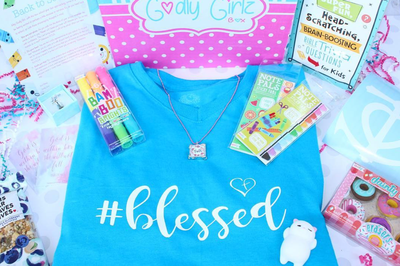 A beautiful necklace and ring, activity book, bath bomb, and so much more. But I think the sequin bible may be her favorite. She has had children's bibles and study bibles but she called this her first real bible. The fact that it was colorful and shiny just made it better in her eyes. She couldn't wait to start reading it! We can't wait to see what surprises await us in the next box.